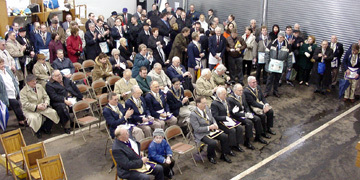 A ceremonial laying of the foundation stone for the New Municipal Building at 320 Boulevard was held by the Grand Lodge of Masons of the State of New Jersey on March 2d at 2:00 p.m.. 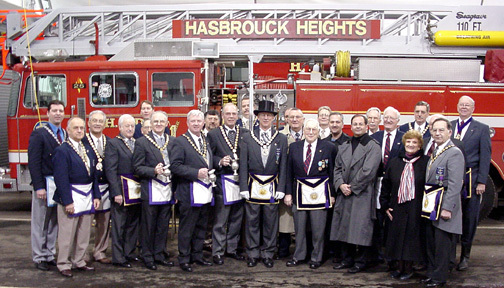 The ceremony was co-presented by the Borough of Hasbrouck Heights and the Euclid Lodge #136 of Free & Accepted Masons (Hasbrouck Heights). 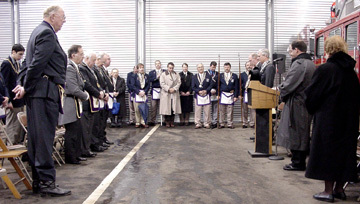 Due to the rain, the traditional marching from the Masonic Lodge to the building construction site was suspended. 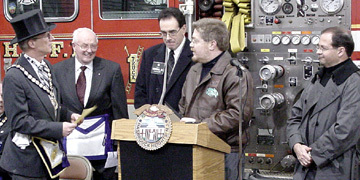 The program was conducted inside the Fire Department's temporary home, (located across the street from the Municipal Building construction site). 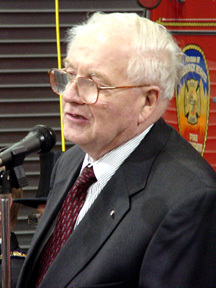 Gilbert A. 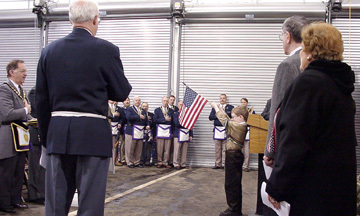 Hunt of the Euclid Masonic Lodge began with welcoming remarks, followed by a salute to the Flag and the Pledge of Allegiance. Rev. 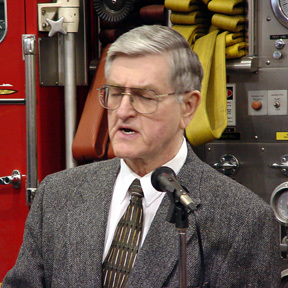 Fred W. Diekman, Pastor, First Reformed Church gave both the opening invocation and closing benediction. 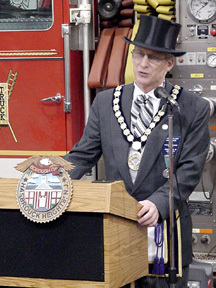 A procession to the construction site was led by the bagpiper, followed by distinguished Masons and the public. M. W. Larry S. Plasket, Grand Master of Masons of the State of New Jersey led the Cornerstone Ceremony and provided reflections. The Masons attested to the stone being plumb, square, level and sound. Corn, oil and wine were poured onto the stone to represent the Masonic virtues. 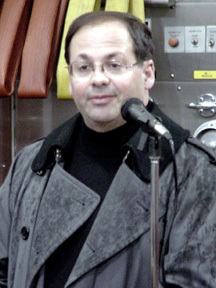 The materials to be included in the"time capsule" were read. Masons Chaplains provided appropriate prayers. 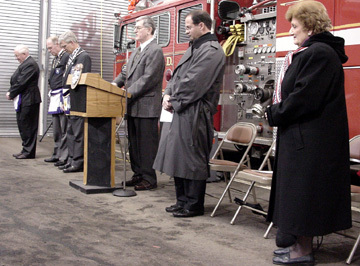 After the laying of the foundation stone ritual, the event then returned to the Fire House. 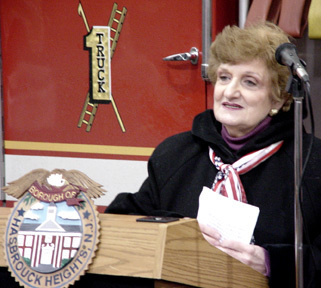 Remarks were made by Assemblywoman Rose Marie Heck and Mayor William J. Torre. The Bergen County Freeholders made commemorative presentations to both the Masons and the Boro of Hasbrouck Heights. Councilpersons attending included: Justin A. DiPisa, Herbert Heeren, Andrew Link III, Garrett R. Pepe, and Marlene Verrastro. Other officials included: Boro Administrator Michael Kronyak, Boro Clerk Rose Marie Sees, Fire Chief Robert Thomasey, Library Trustee President Thomas Verrastro, Library Director Michele Reutty as well as other community leaders. 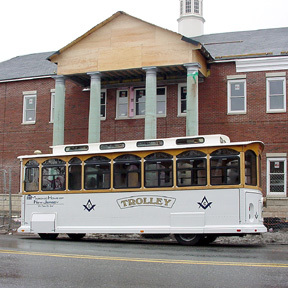 Upon the conclusion of the program, the group returned to the Masonic Lodge for refreshments and fellowship. 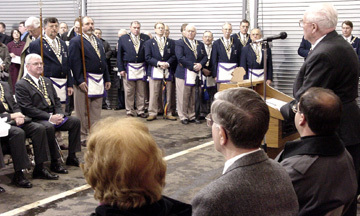 The Euclid Lodge No. 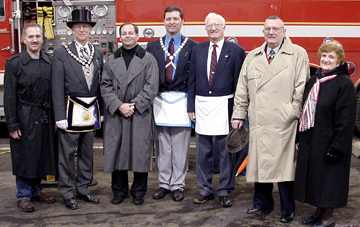 136 Free & Accepted Masons 2003 Worshipful Master is Paul M. Ferreira. Laser color copies are available at Minuteman Press (Boulevard & Franklin).